It’s Friday 13th today, so we want to give ourselves and the people around us the best luck for the year possible. So if you’ve crossed a black cat recently or you're wondering how you can get yourself in on the luck, we’ve rounded up our 10 favourite good luck charms for your benefit. 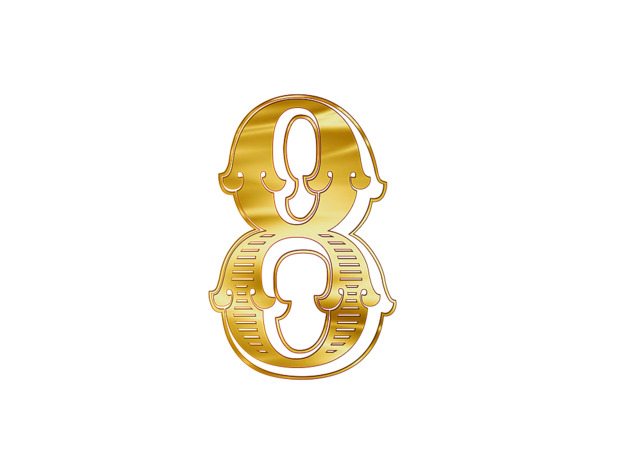 The number eight has always been considered a lucky number in Chinese culture where the number’s pronunciation is similar to the meaning of wealth or fortune. Many people also seek out their telephone numbers, house numbers, car identification and important dates using the number eight. The special number also contains meanings of prosperity, success and high social status which makes it popular amongst many. At a remarkable 1 in 10,000, the chances of discovering a four leaf clover are so astonishingly slim that finding it seems to require luck itself. 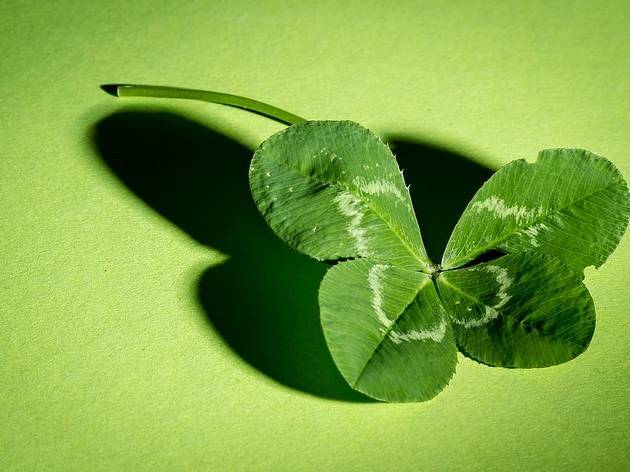 There are a plethora of theories concerning this celtic charm, but they all seem to make the clover worthwhile: the ability to see fairies, promise of eternal happiness and meeting your lover the same day, to name a few. 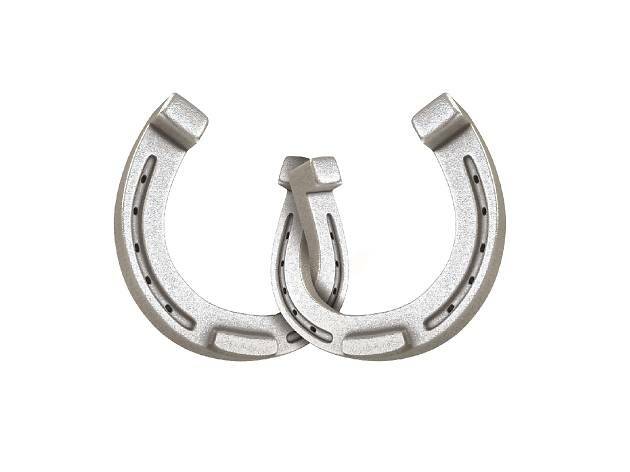 The lucky horseshoe tradition dates back to the 10th century and continues to be a symbol of luck to this day where people hang this particular talisman over the door to keep bad luck away and bring good fortune. Some say you should hang it with its end pointing up as it acts as storage for good luck that passes by, others say it should be hung with the points facing downwards as it will release its luck to everyone around it. 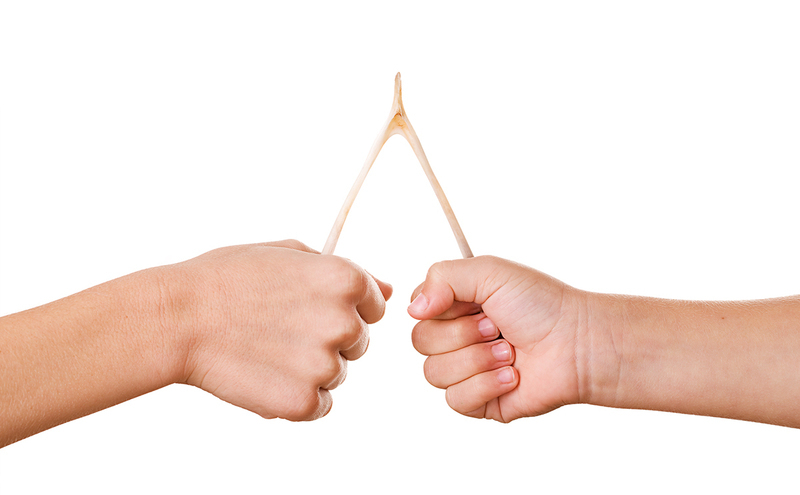 Thought widely to be an American Thanksgiving tradition, the wishbone’s significance is around a millennia older than the United States. 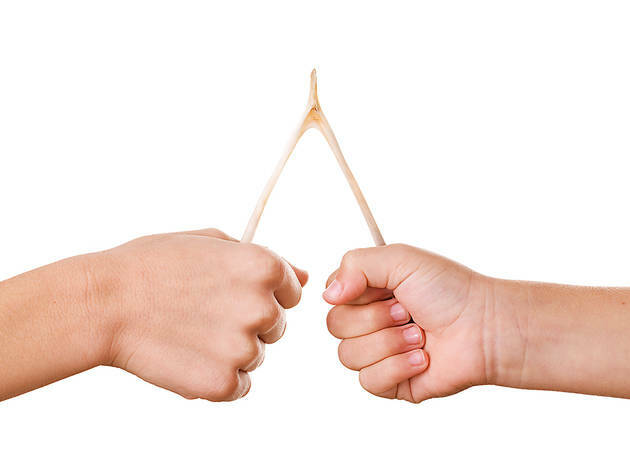 The 17th century British believed that shaking a wishbone off your nose will make your wish come true, but currently whoever breaks the bigger piece will be more inclined. But the perfect wishbone is no small feat, it requires a prime level of brittleness and a tactful cracking strategy. 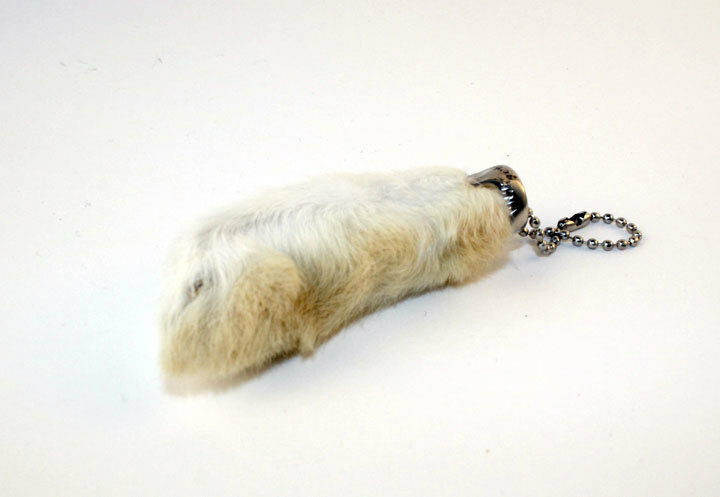 The rabbit’s foot remains a common symbol of monetary and sexual luck in popular culture. Derived from Celtic folklore and African-American folk spirituality, the superstition surrounding this dismembered limb is a little creepy but actually associated with rabbit prosperity. The Celts initially considered rabbits to be divinely connected to the underworld because of their burrows, however in North America the rabbit’s hind left foot was prominently thought to assist fertility. Turns out they don’t say “fornicating like bunnies” for nothing. 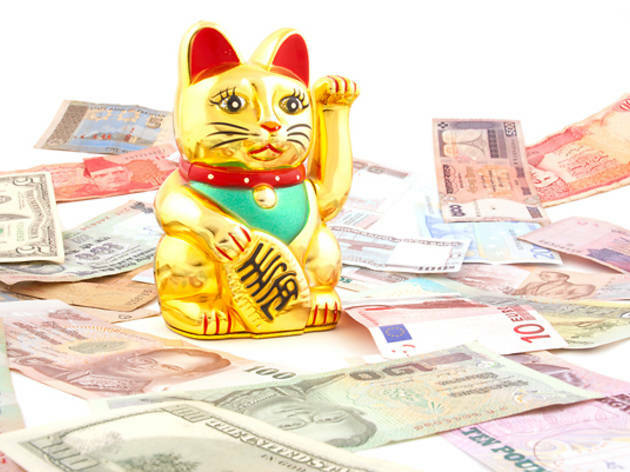 This cheeky little cat is a popular lucky charm in both Japanese and Chinese cultures where it is believed to attract good luck and fortune to its owners. You’ll most likely seen it hanging out at stores or restaurants (sometimes with a waving hand), as it welcomes and bids hello to customers. 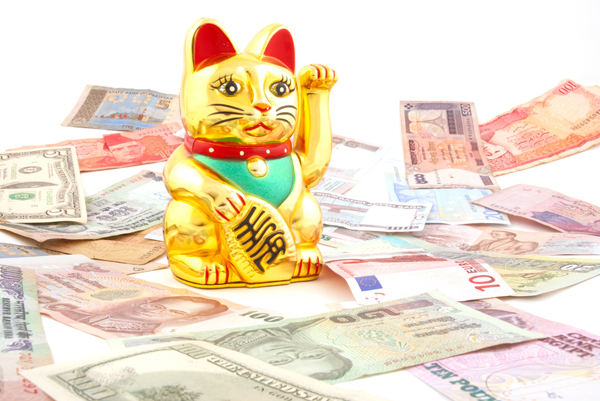 The cat’s colours also have meaning: a white cat represents happiness and positive things to come, gold meaning wealth and prosperity while a green cat represents good health and wellness. 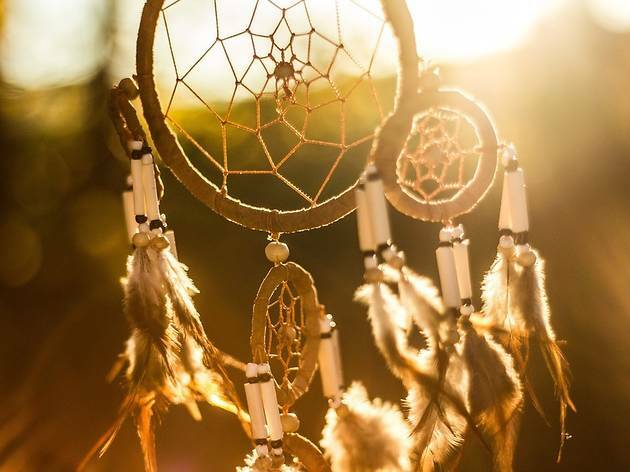 Potentially the ideal gift for any victim of nightmares, dreamcatchers were conceived by the Native American Ojibwe tribe to protect sleeping children from bad dreams. 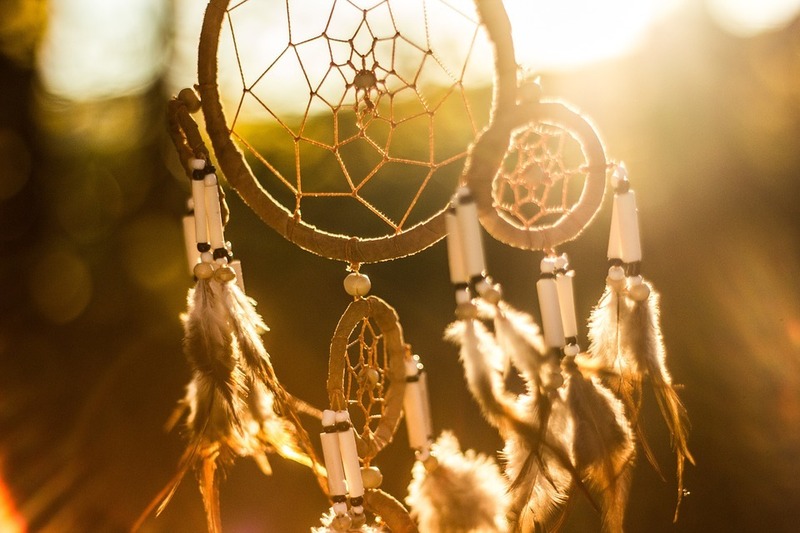 Girls originally hung owl feathers, representative of wisdom, from their dreamcatchers, while boys originally hung eagle feathers, representative of courage. The dreamcatcher was been popularized worldwide, but remains a fundamental symbol of unity and national identification for the Native people. 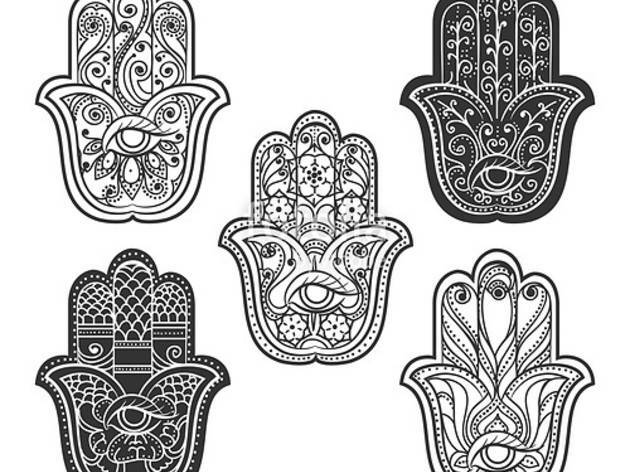 More than just a talisman, the Hamsa has become political emblem of harmony and reconciliation, but its popularity as a protective sign has been prevalent in the Middle East and North Africa since approximately 300 B.C. 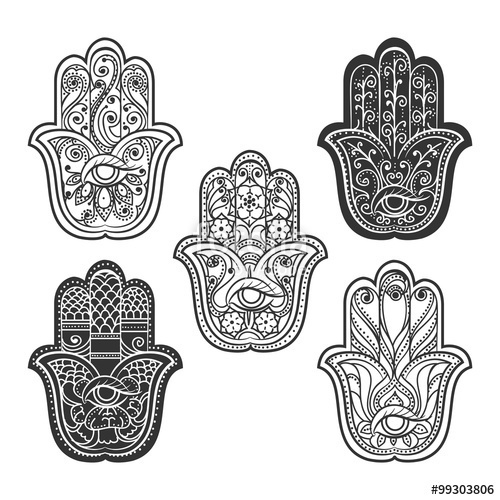 Associated with the five pillars of Islam, one of God’s holy names in Hebrew, protection from the Evil Eye in Arabic and Berber traditions, the Hamsa has a multitude of forms and spellings but its prominence as a symbol of good fortune is undeniable. Typically when we feel an insect we immediately think “Ah, mosquito!” and swat it away in outrage, but it’s these harmless fellows the alleged misfortune they bring to their murderers should be enough to make you look twice. 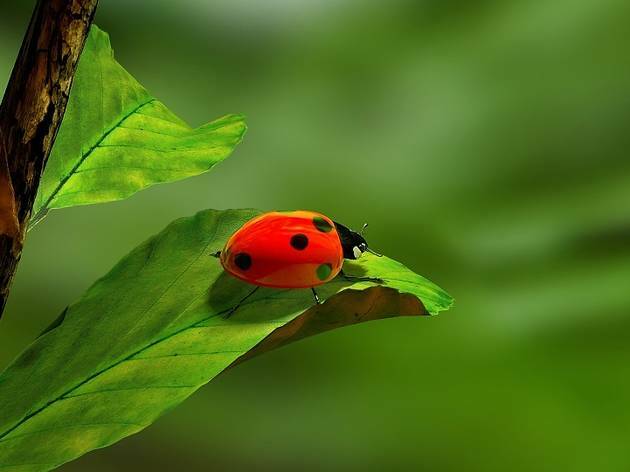 The name ‘lady bug’ arises from medieval times when European Christians called them ‘Beetles of Our Lady’ as they believed that the beetle’s spots symbolize the Seven Sorrows of Mary. 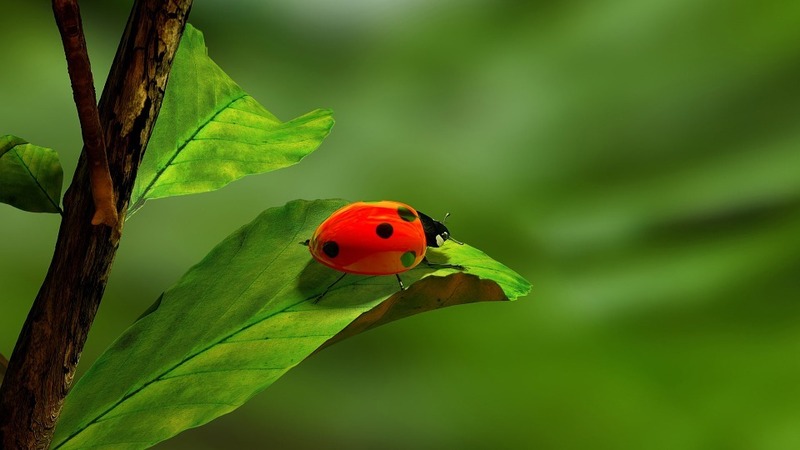 Farmers since have recognized lady bugs as lucky because the bugs protect their crops from threatening insects. Associated with wealth, love, sunny skies and luck, a lady bug landing beats a mozzie’s any day. Unluckily for us the HK penny hasn’t been in commission since 1941, but hopefully our ten cent will do! 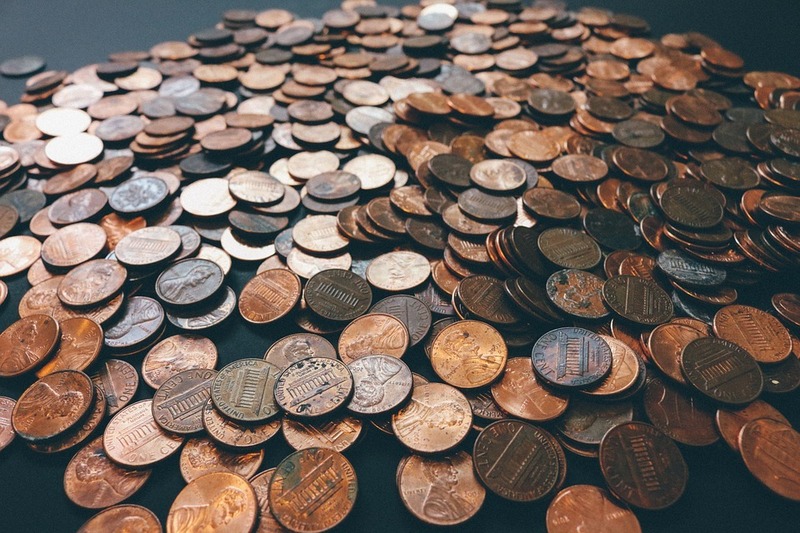 Although a penny is a relatively small sum, to many it represents wealth and the importance of saving. 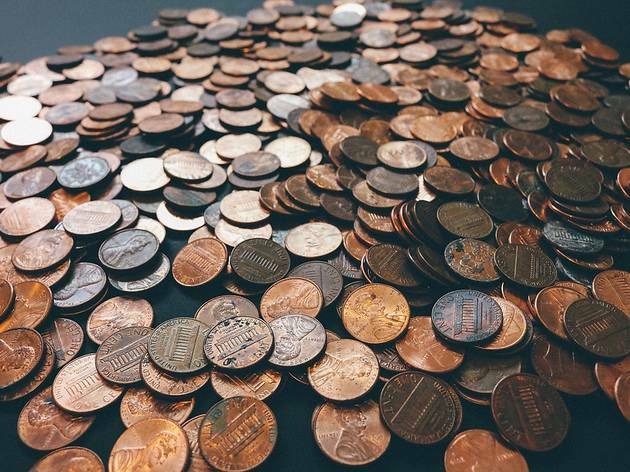 The modern superstition that picking up a penny brings good luck is a novel twist on archaic folklore, as metal used to be thought of as a gift from the gods and was accordingly gifted to people in dire need of good fortune or health. Certain European cultures still believe that fairies will bring luck to whoever spits on and throws the found penny into the bushes.